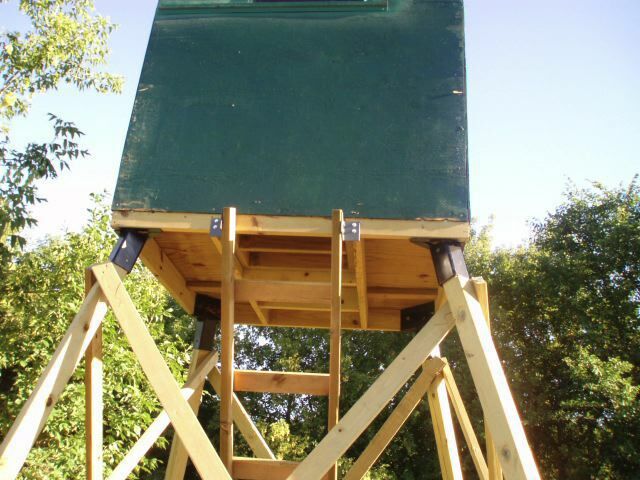 Kit includes 4 EZ-Brackets and 2 Ladder Brackets. 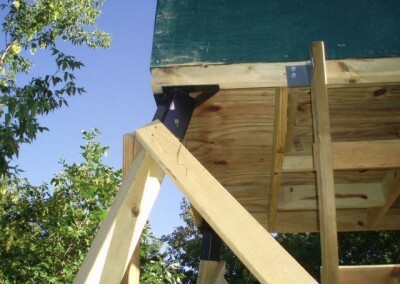 *Some basic carpentry skills are required. 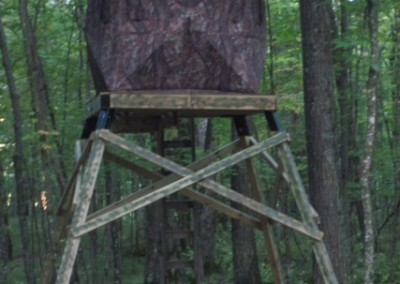 Lumber materials are not supplied. 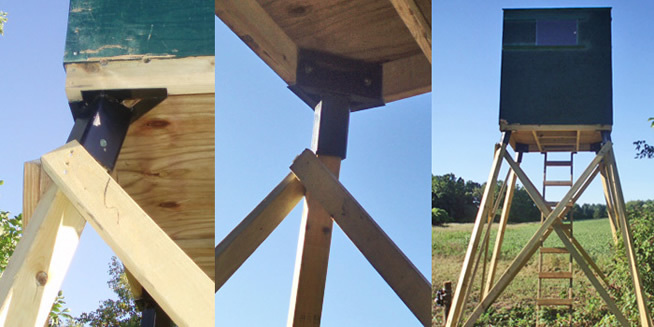 Now improved with new tie down loop, vertical corner stop brace, and decking bolt hole. 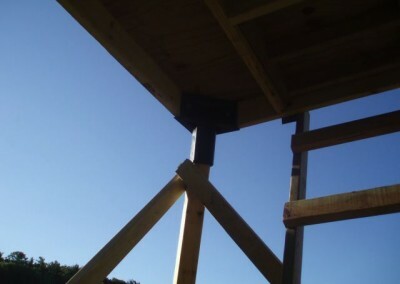 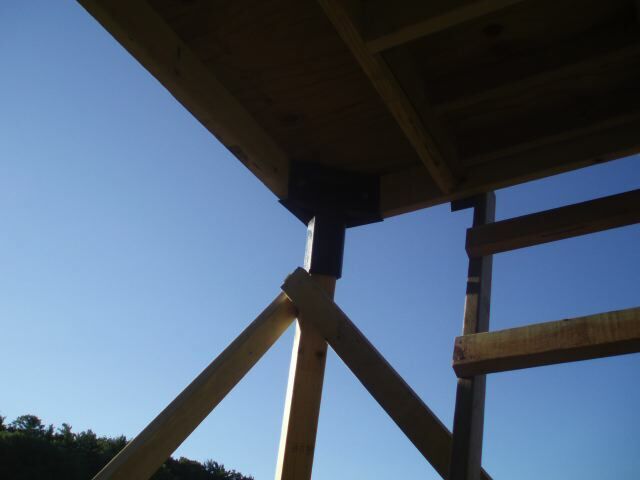 You want to build a blind, but hate the thought of measuring angles, getting help in holding posts and beams “just so” while they’re being secured, wondering whether or not it’s as safe as you’d like, and in general, just hate the hassle. 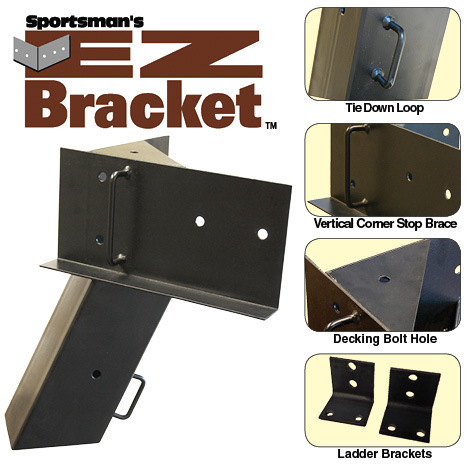 Now with the new EZ-Bracket all those blind building challenges have been totally eliminated! 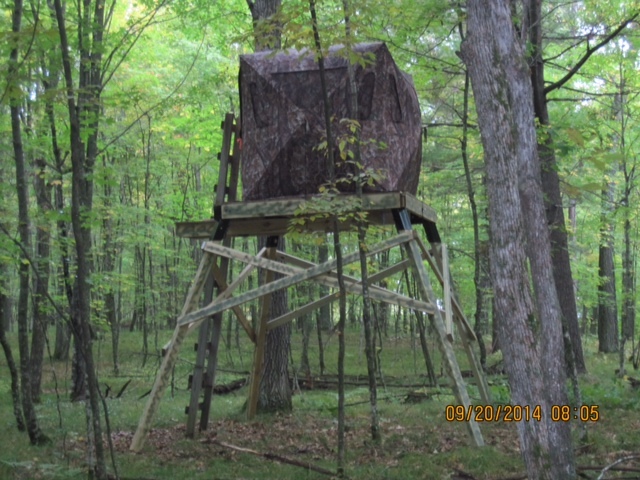 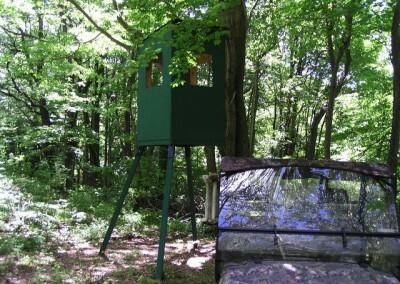 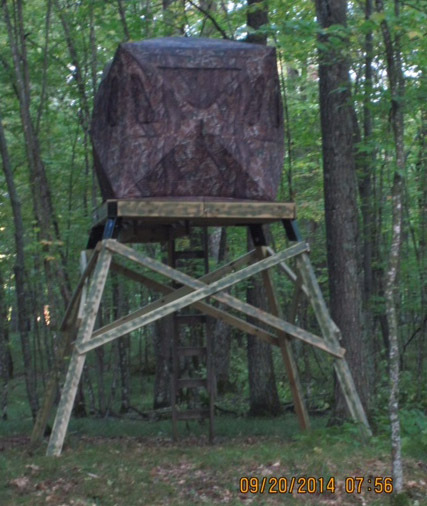 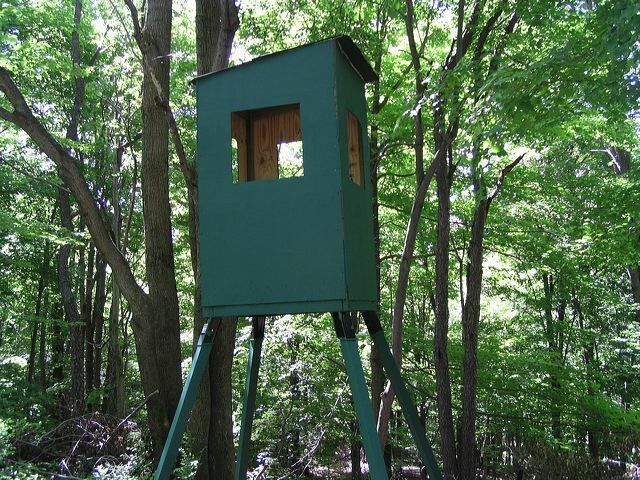 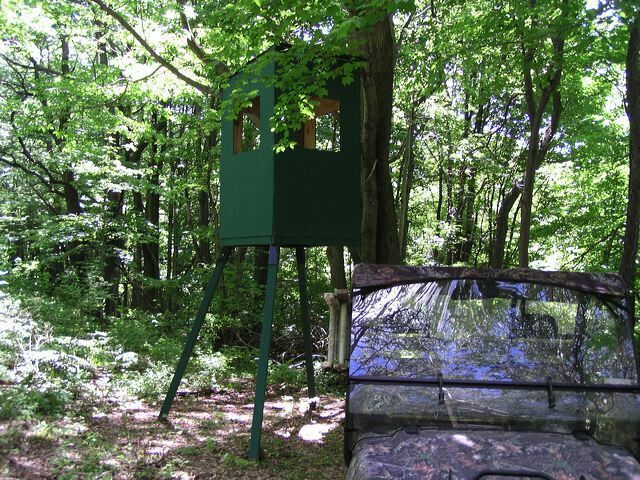 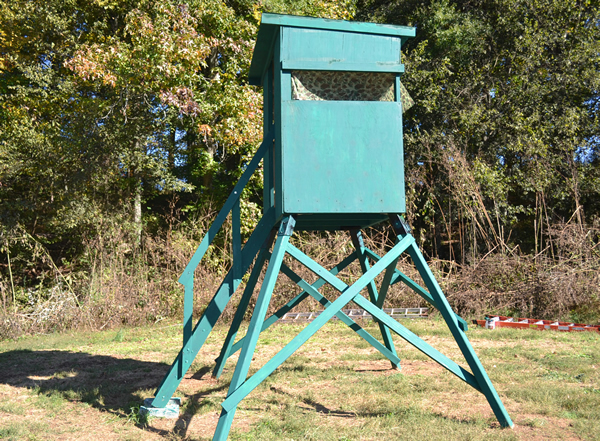 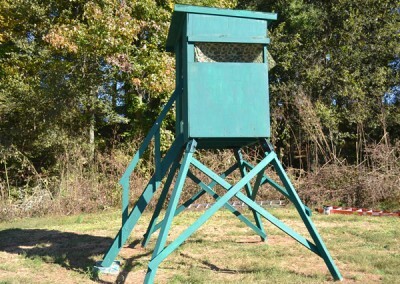 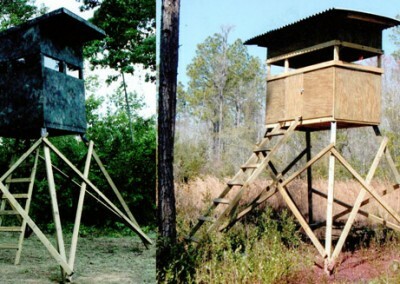 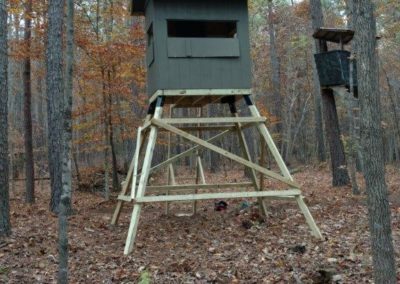 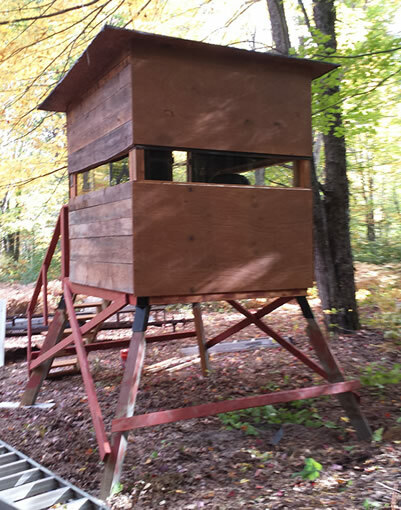 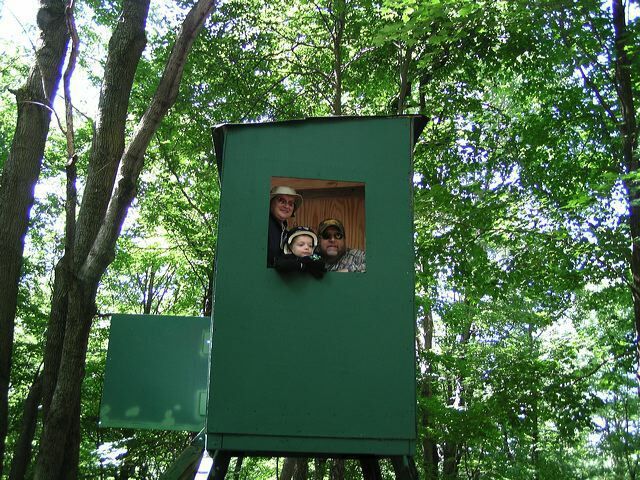 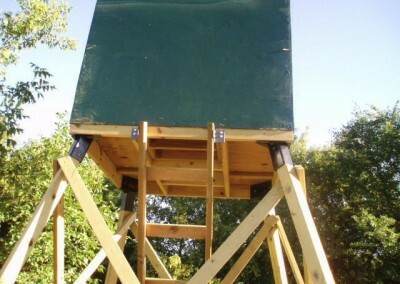 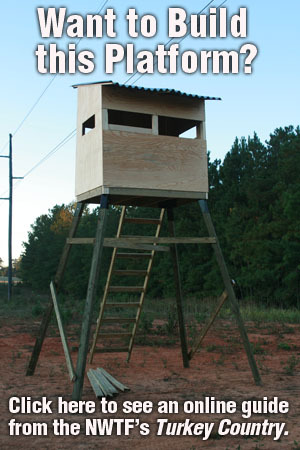 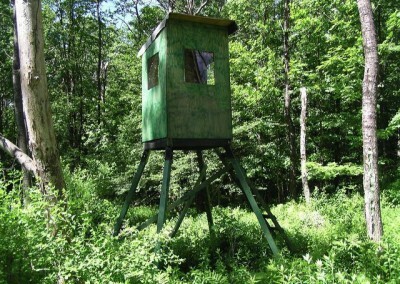 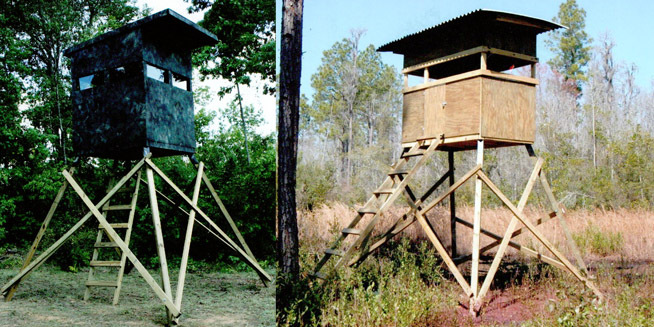 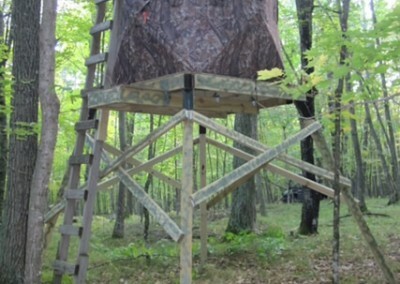 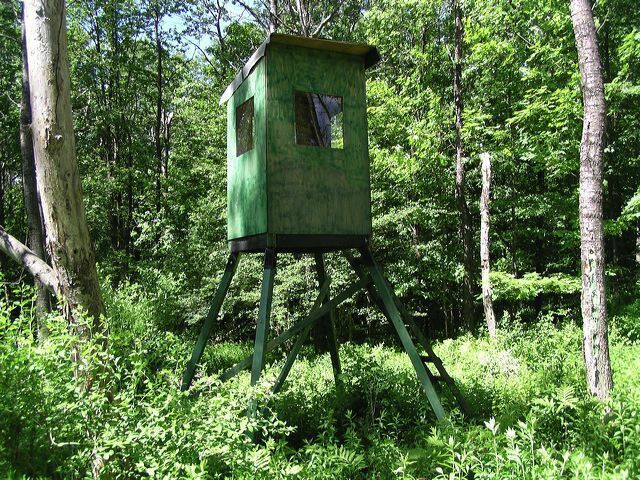 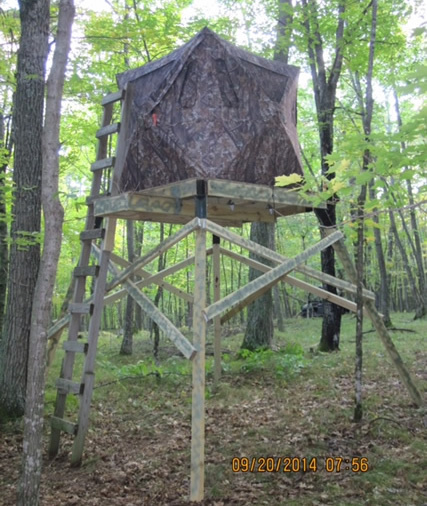 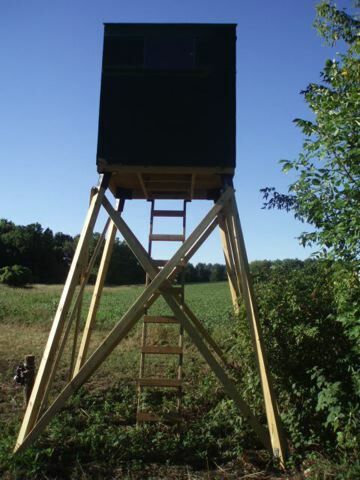 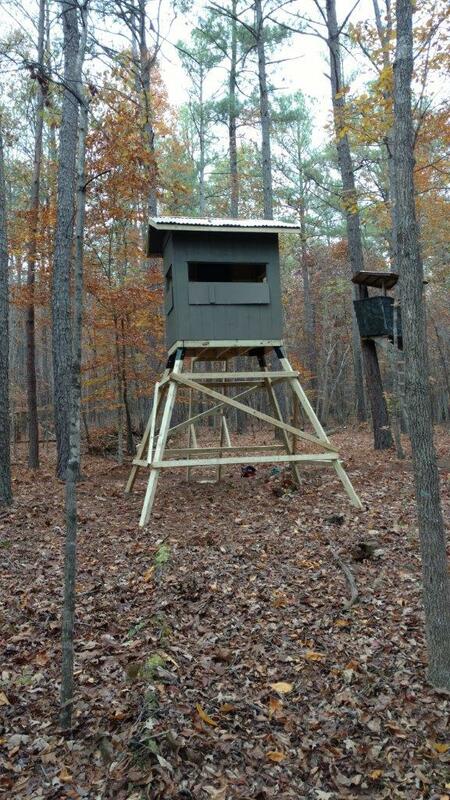 This revolutionary hunting-blind building system simply requires your pre-cut post (4×4), beam (2×6) and siding (plywood) lumber and the time to secure it in place. 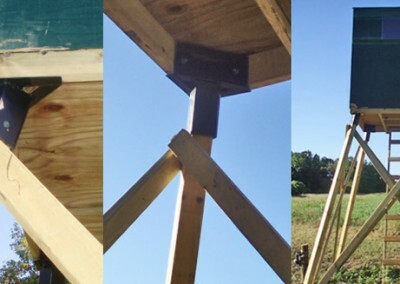 Simply place the wood in the corresponding bracket holes, secure, and BAM…you’ve got a blind that’s secure, accurately measured, and cut your build-time by a factor. 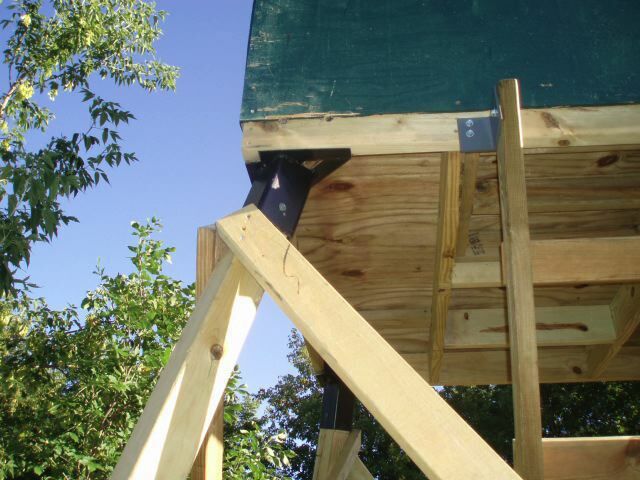 – EZ-Bracket Unit only weighs 11 lbs. 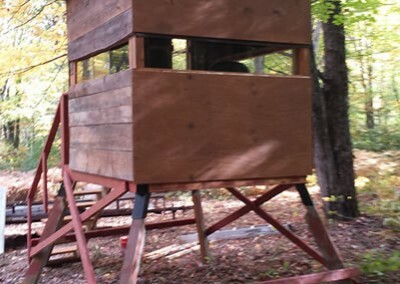 on Building this Shooting House.